View Photos of Opening Reception on Facebook! If life is a journey, what part do windows and doors play? Doors can welcome us in or shut us out, or sometimes lock us in. Doors can offer us escape; adventure, the romance of new beginnings -- heading for adventure and leaving the past behind with the finality of that final slam possibilities. 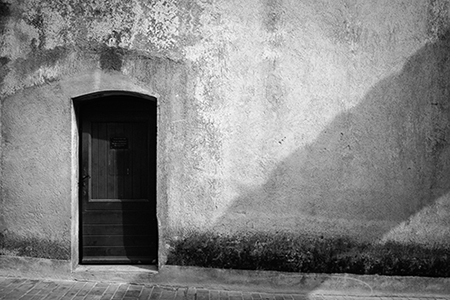 Doors can represent uncertainty and mystery of what's beyond the door. Why does the window play such an important part in our collective psyche? More than the door, the window offers up hope; a portal to our imagination and through that to an imagined world beyond what we see... windows offer us a chance at a world beyond: escape, elopements, serenades and secret loves. In a nutshell we think WINDOWS AND DOORS offer us possibilities. This time at 1650 there's a lot to see through your WINDOWS AND DOORS photography! Additional photos have also been selected for an online only annex. Photos included in the online annex will be displayed digitally in a digital frame at the exhibition.